I’m glad to have the chance to share with you a card I made with some lovely new items from Classy Cards ‘n Such store. I started out by stamping the sweet Feeding Birds stamp from Wild Rose Studio, with Memento ink in Tuxedo Black on White Pearl Linen. I colored the image with Spectrum Noir Markers. Then I die cut the colored image with Spellbinders Elegant Ovals and stenciled it with Distress Ink in Spun Sugar. I also framed it with a larger oval from the same set, that I die cut from Graciellie Design digital patterned paper printed on White Pearl Linen. I crossed two pieces of ribbon vertically and horizontally, through and over the ovals, respectively and mounted them on a large frame die cut from Stardream Rose Quartz with Spellbinders A2 Filigree Delight. To finish the design I added a butterfly, die cut with Joy Crafts Vintage Flourishes Butterfly and a little tag, die cut with Spellbinders Fancy Label Tags One, both cut from deep lilac metallic cardstock. I folded the butterfly in half and adhered it to the edge of the colored image. I heat embossed a sentiment on the little tag, a sentiment from Flourishes’ stamp set Zinnia with White detail embossing powder on the little tag. Finally I tied a double bow and added some Baby Rhinestones – Silver. 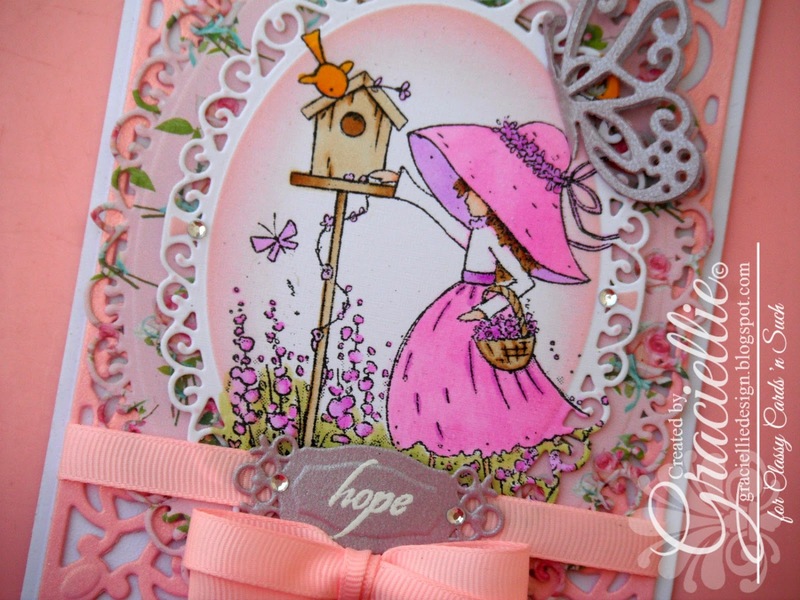 I must confess I have a weakness for Wild Rose Studio stamps, and I loved coloring this image! 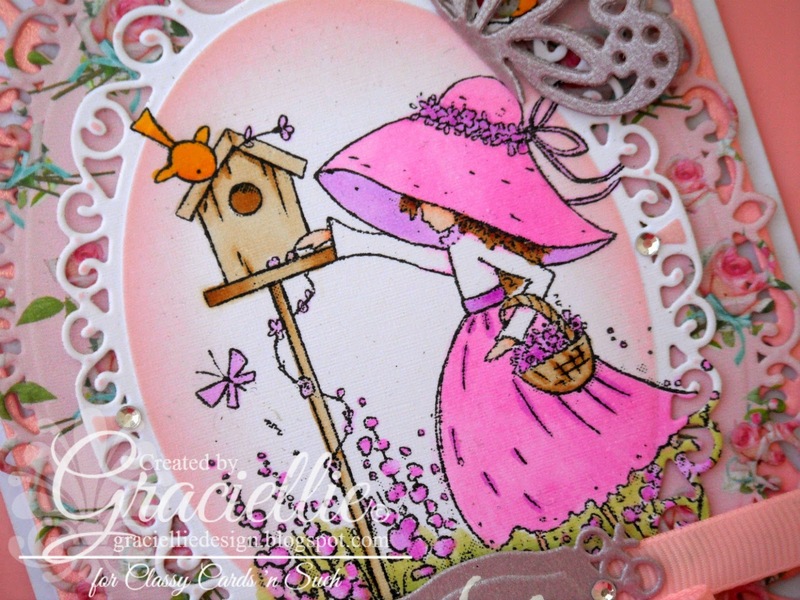 I invite you to check out the rest of their stamp sets on the store… You’ll love them too! 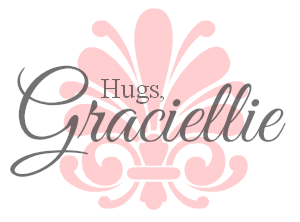 If you have a chance to do some shopping, remember to add the coupon Gracie-10 during checkout to get 10% off your purchase! Thanks so much for stopping by and seeing my card. I really hope you like it! An adorable card, Gracie. Love the pink and all the fabulous details. 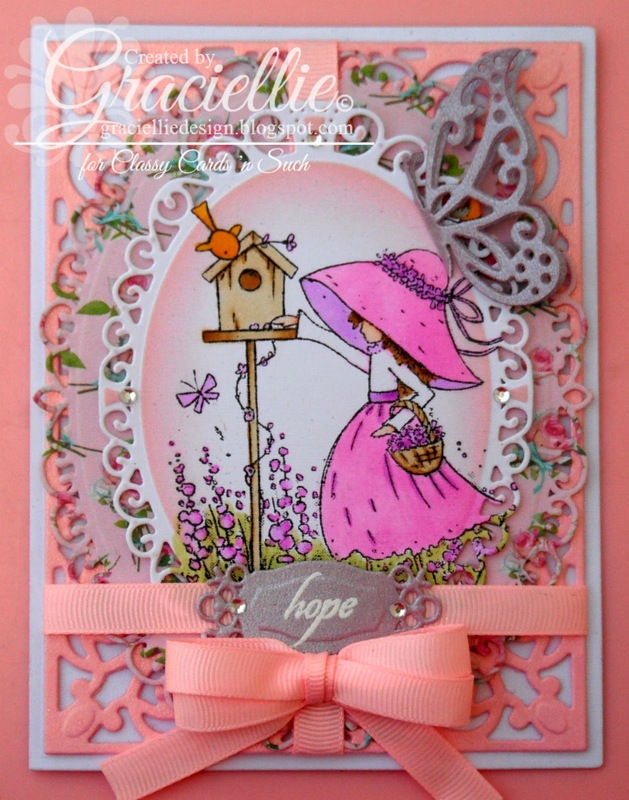 It's just Beautiful Gracie… I love everything about this card..